Trying to eat better? Find out what makes a healthy eating diet! When we hear the words “healthy diet”, our first thought might be us nibbling hungrily on carrot sticks — or so-called “rabbit food”. We might also imagine waving goodbye to old loves like char kway teow. Don't worry! A healthy diet shouldn't (and wouldn't) make us hungry and deprived. Instead, we want to aim for balance, moderation, and variety. Let's find out what makes a diet healthy, whether we’re trying to change our eating habits to lower our risks of diabetes, or simply want to eat better. What's a balanced diet? It's making sure that we eat a good balance of food from the important food groups: carbohydrates, meat and other proteins, and fruit and veggies. Carbs are our main source of energy, powering activities from breathing to thinking to running for the bus. Want a more nutritious carb? Choose wholegrains over refined grains: brown rice over white rice, wholemeal bread over white bread. Protein, our body’s building blocks, is the next component. It comes from food like chicken, duck, pork, beef, fish, bean products (like tofu and tau kee), and dairy products. Lastly, let's not forget fruit and veggies, which are low in calories and packed with fibre, nutrients, and antioxidants. How do we keep a balanced diet? 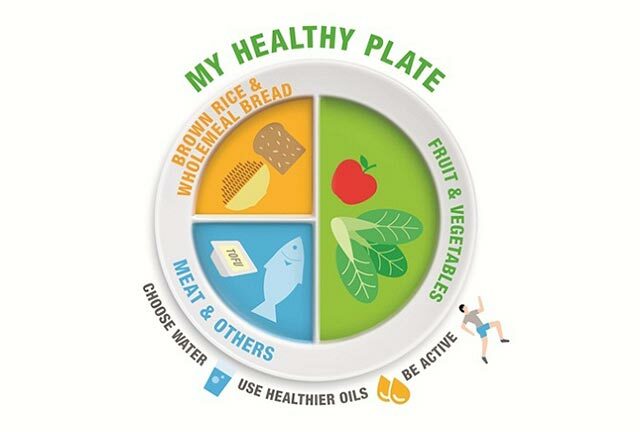 We can use My Healthy Plate, a tool that reminds us how much of each component to eat during meals. Fill half the plate with fruit and veggies. Fill a quarter of the plate with wholegrains. Fill a quarter of the plate with meat and other proteins. 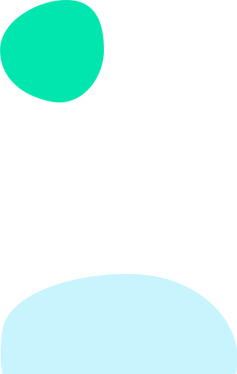 Besides balance, we also want to make sure the amount of food we eat is "just nice". This means eating regular meals in moderation — not starving ourselves silly or bingeing till we burst. We can again use My Healthy Plate as a visual guide to show how much food should be on our plates. Moderation also means learning to enjoy the food we love, instead of falling into the deprivation-binge cycle. Say we love char kway teow but think it's "sinful", so we banish it from our diets. Over time, our craving for char kway teow builds up until, one day, we "give in" and binge on a $6 plate with extra liao (ingredients). 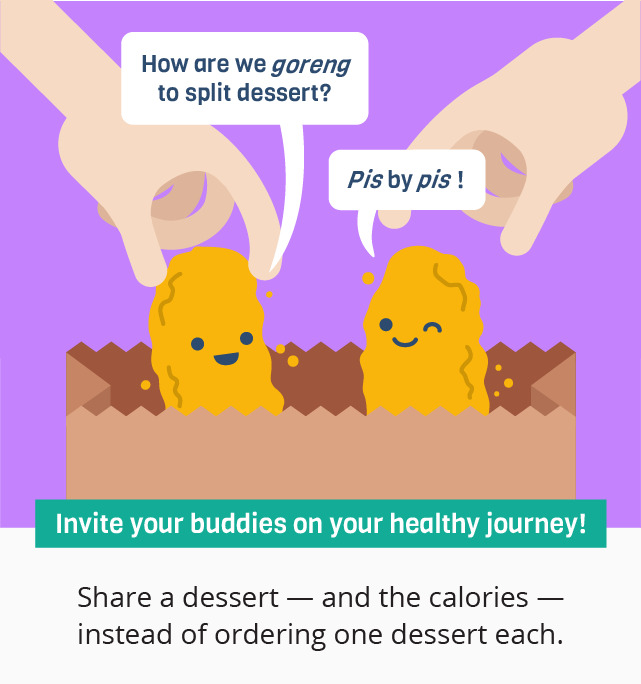 We feel guilty, and end up binge eating for a few more days before restarting the whole deprivation phase again. Moderation breaks this vicious cycle: we recognise there's nothing "sinful" or "bad" about treating ourselves to a $3 char kway teow for lunch, then choosing a lighter and well-balanced dinner. Finally, healthy isn't boring and bland "rabbit food". There's a wide variety of healthy, tasty food to choose from! For example, think outside the box for wholegrains: beyond brown rice and wholemeal bread, there are options like wild rice, black glutinous rice, brown rice bee hoon, whole-wheat pasta, soba, thosai, and chapatti. And eat a rainbow of fruit and veggies, from reds like papaya and peppers, to greens like kiwi and chye sim, to purples like grapes and brinjal. This gives us a good mix of unique nutrients, and our taste buds will be satisfied with the variety of flavours. <img src="/sites/assets/Assets/Categories/Food%20N%20Nutrition/1021_images_inlineimage1.jpg" alt="My Healthy Plate" title="My Healthy Plate" /> </p><p>It's easy&#58;</p><ul><li><p>Fill half the plate with fruit and veggies.</p></li><li><p>Fill a quarter of the plate with wholegrains.</p></li><li><p>Fill a quarter of the plate with meat and other proteins. <div class="ExternalClassB5A165252E1E4EC09A5D410BCDBBA39A">Established in 2001, the Health Promotion Board (HPB) has a vision to build a nation of healthy people. Makan Matters: What‘s a Healthy Diet?